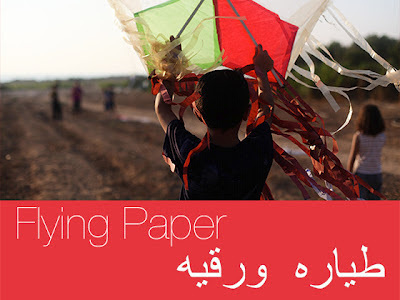 Maximizing Progress: Flying Paper ~ Kites & Kids Docu on Kickstarter! "...uplifting story of resilient Palestinian youth in the Gaza Strip on a quest to shatter the Guinness World Record for the most kites ever flown. [...They] capture the culture of kite making and flying among youth and their spectacular record-breaking event." I've seen the rough-cuts and this is essential and inspiring material!